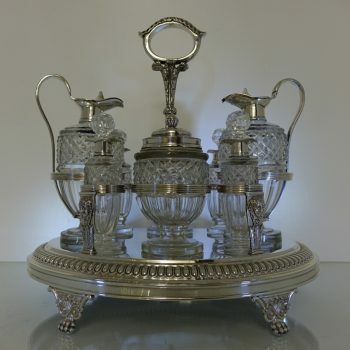 A very large and elegant pair of sauce/gravy boats with a gadrooned rim for decoration. 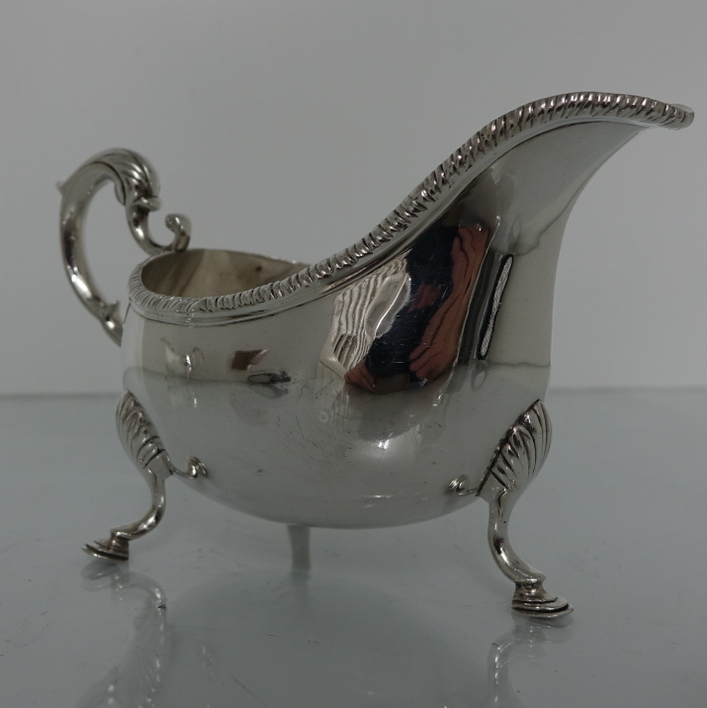 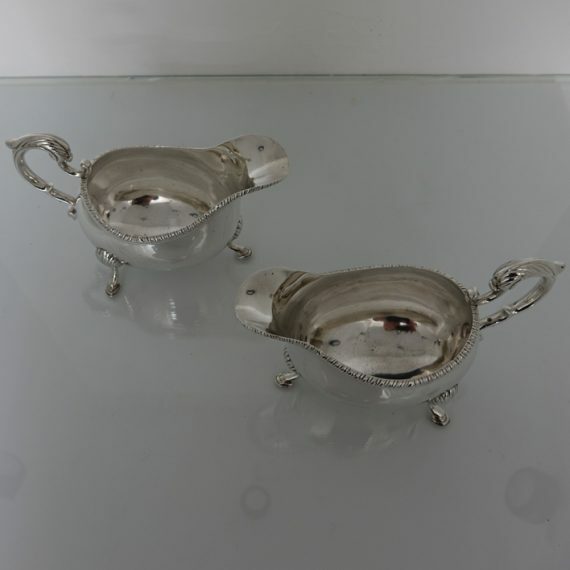 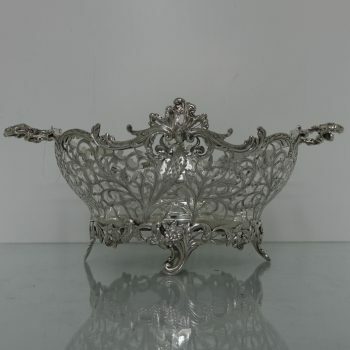 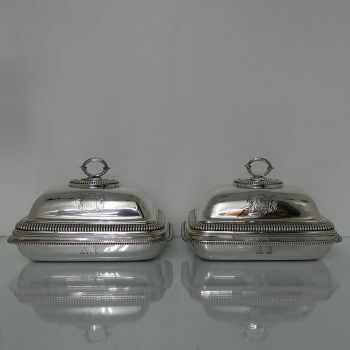 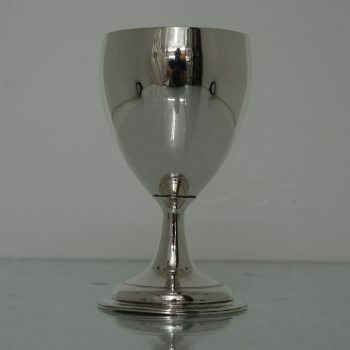 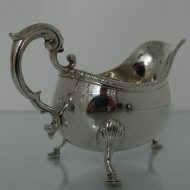 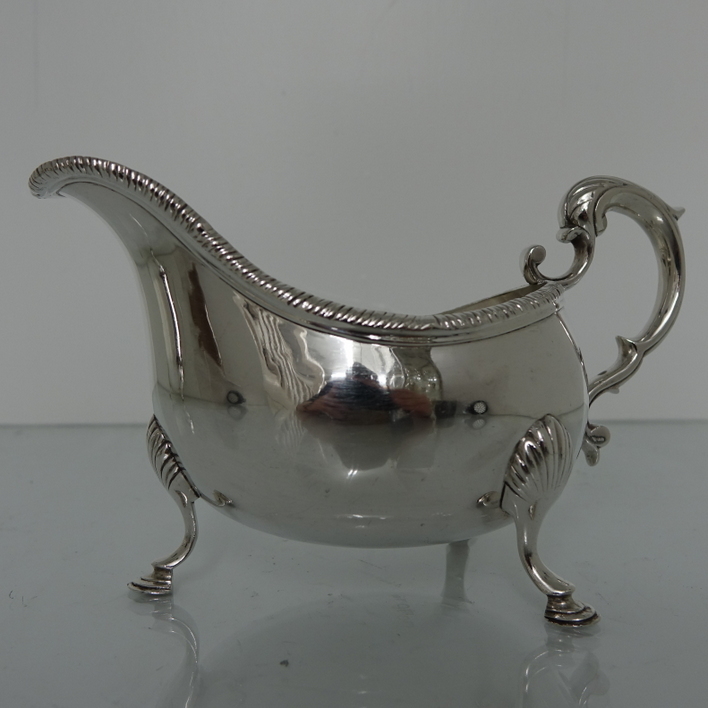 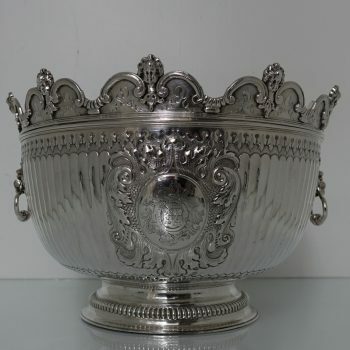 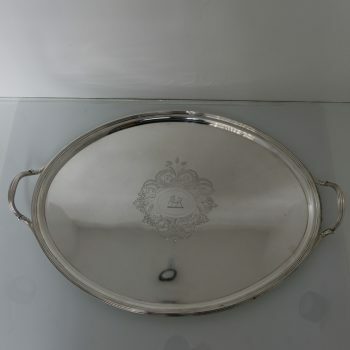 A very large and elegant pair of sauce or gravy boats with a gadrooned rim for decoration. 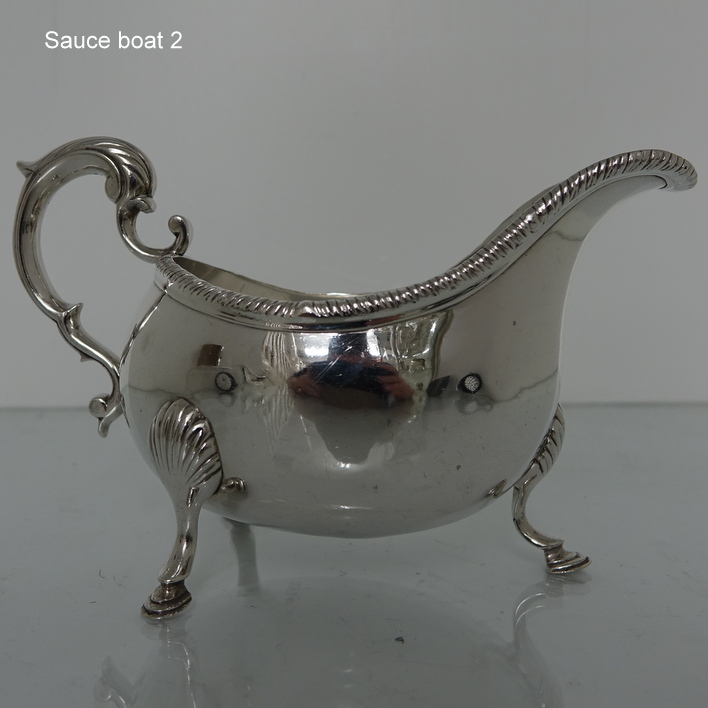 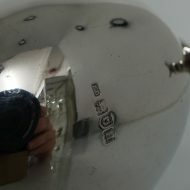 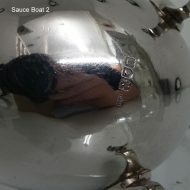 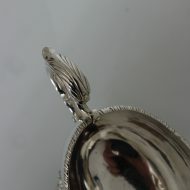 The body of the sauce boats are plain and sit on three ornate hoof feet. 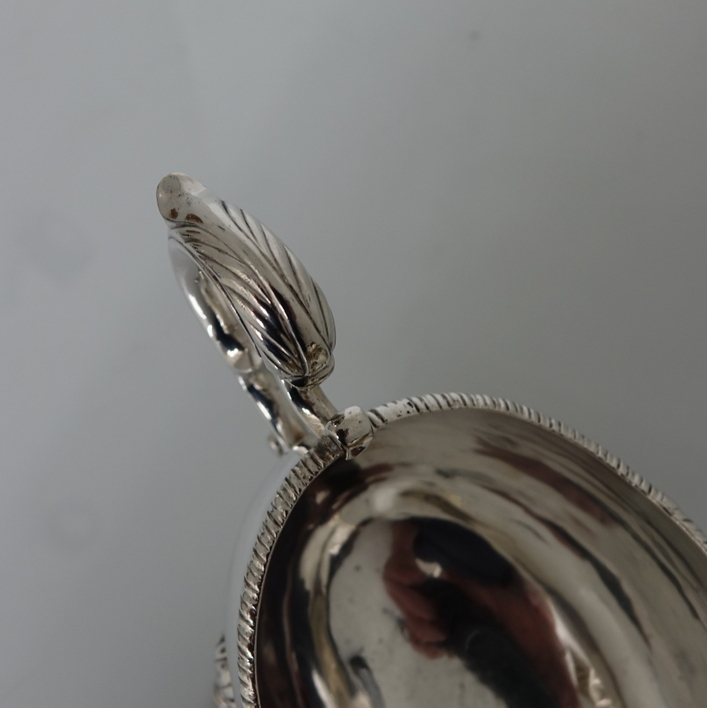 The handle is in single scroll design and has an easy to pour thumb piece.